PPSS Group is a UK headquartered (and also U.S. registered) firm specialising in the design, development and manufacturing of high performance body armour and protective clothing – offering protection from firearms, edged weapons, hypodermic needles as well as blunt force trauma and human bites. PPSS Group is led by a team of highly trained and qualified professionals with 100+ years of operational frontline experience in governments, elite military forces, police, prison riot teams and personal protection. Our CEO is widely regarded as one of the most passionate and knowledgeable experts on personal safety – and his relentless campaigning and care for the welfare of frontline professionals worldwide is widely respected. PPSS Group launch the CutPRO® brand of cut resistant clothing, for those in the glass and metal industry. Global launch of our new EMERGENCY BODY ARMOUR... designed to protect civilians around the world. Tony Welsh appointed as Global Operations Director (2IC) with the aim to grow and stabilise our expanding global business operation. 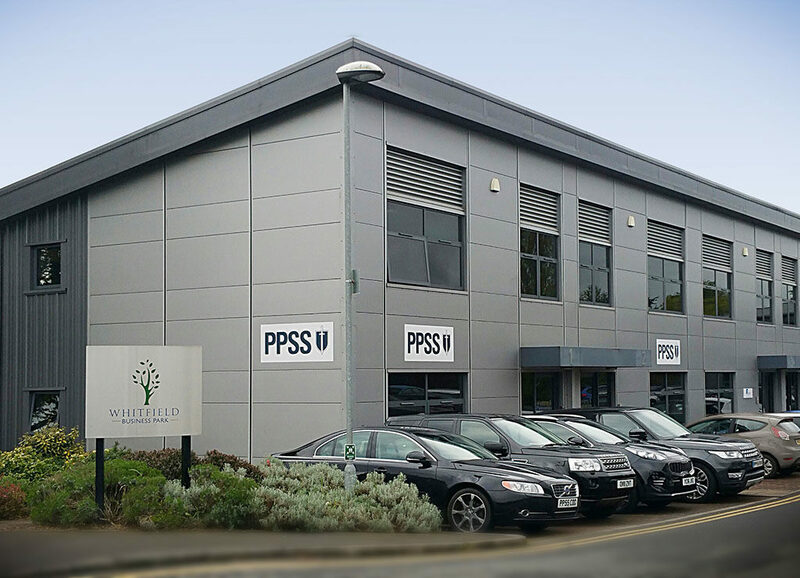 PPSS Group doubles HQ office space, starting to occupy additional Unit 2 of Whitefield Business Park. PPSS Group launch world's first slash resistant UBAC shirt. PPSS Group is expected to launch its first NIJ (0101.06) certified high performance bullet resistant vest, with the aim to offer the North American global law enforcement and private personal protection the best possible body armour. PPSS Group launches its 2015 series of high performance cut and slash resistant tactical leather gloves made out of 100% Cut-Tex® PRO - protecting the wearer from razor blades or any types of slashes from broken glass or other types of edged weapons. PPSS Group takes further crucial steps in its quest for global market penetration, by setting up its own independent legal entity in the U.S.
PPSS North America Inc. is incorporated in Delaware and operating from New York. PPSS Group launches what will soon be globally known as the world's toughest and most durable 'Cell Extraction Vest' - designed and developed for anti riot and major incident teams of prison and correctional institutions around the globe. Lucy Porter joins PPSS Group as Head of Merchandise. PPSS Group launches its first online shop - entirely dedicated to the supply and sales of BitePRO® Bite Resistant Arm Guards & Clothing (made out of 100% Cut-Tex® PRO) to special educational needs schools, mental health care facilities and secure psychiatric institutions. Craig Nicholson is appointed Director of Digital Marketing. PPSS Group launch the world's most advanced range of cut and slash resistant clothing made out of 100% Cut-Tex® PRO - aiming to protect frontline professionals from razor blades or any types of slashes from broken glass or other types of edged weapons. PPSS Group launch the world's thinnest, lightest and arguably the best bullet resistant vests in the world. PPSS Group launch the world's most advanced cut and slash resistant fabric, giving it the name Cut-Tex® PRO. Cut-Tex® PRO is now being used to protect the wearer from razor blades or any types of slashes from broken glass or other types of edged weapons. Joanna Cartwright is appointed Finance Director of PPSS Group. Robert Kaiser, CEO and Founder, registers UK headquartered PPSS Group - with the precise objective to create an industry leading, globally respected and highly efficient firm within the world of personal protective equipment (PPE). "Protecting Frontline Professionals From Human Threats"
force trauma, edged weapons and hypodermic needles - as well as an unlimited lifespan.